After a long lesson or event, children are understandably tired. They have been working hard and have been gathering vast amounts of pent-up energy that make them irritable, listless and aggravated. It's high time to shake things up by enlivening them with these exciting pep-up games. 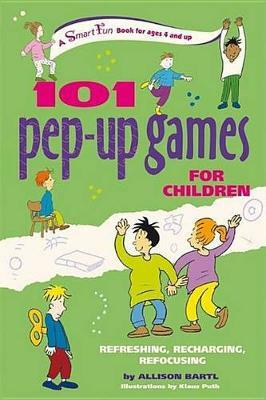 Pep-up games improve: *	concentration *	social skills *	creativity *	communication *	improvisation *	coordination Short game breaks allow children to let go so they can refocus for another effective learning session. 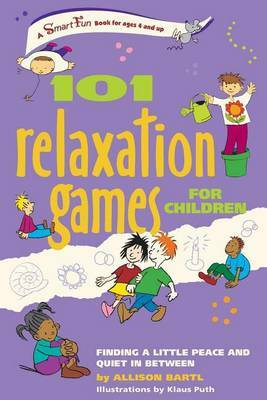 101 PEP-UP GAMES FOR CHILDREN is clearly written and easy to follow. 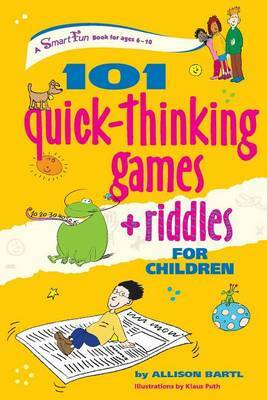 The games are made for children 6 to 10 years old; all games can be easily modified for different age groups. Each game comes with icons indicating the suggested group size, whether physical contact might be involved, whether it is played outdoors and whether props, a large space or music is needed. Children can have a blast while singing, dancing, acting, racing, exercising, playing ball, treasure hunting and much more. Playing together not only recharges tired children, it also creates a bond between the teacher and the students that makes working together a great deal more fun and productive. 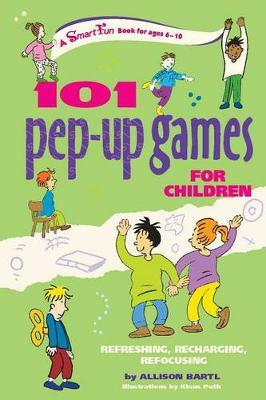 Buy 101 Pep-Up Games for Children by Allison Bartl from Australia's Online Independent Bookstore, Boomerang Books.